Intro: Elite Dangerous is the definitive massively multiplayer space epic, bringing gaming’s original open world adventure to the modern generation with a connected galaxy, evolving narrative and the entirety of the Milky Way re-created at its full galactic proportions. Starting with only a small starship and a few credits, players do whatever it takes to earn the skill, knowledge, wealth and power to survive in a futuristic cutthroat galaxy and to stand among the ranks of the iconic Elite. In an age of galactic superpowers and interstellar war, every player’s story influences the unique connected gaming experience and handcrafted evolving narrative. Governments fall, battles are lost and won, and humanity’s frontier is reshaped, all by players’ actions. 400 Billion Star Systems. Infinite Freedom. Blaze Your Own Trail. Review: After years (decades!) of waiting, the day that fans never thought they’d see has finally arrived, we have a new Elite game that lives up to the promise of the 1984 original but with all the added graphics and gameplay that modern technology affords us. 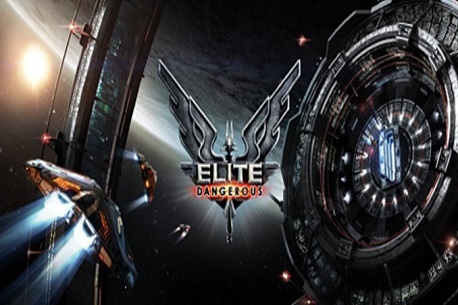 Elite Dangerous successfully recaptures the spirit of the 1984 original while adding the enhancements of the pantheon of great space sims both big and small that have been released in recent years, from big names like Wing Commander: Privateer and the X Series, and recent indie games like Paragon and Rodina. So, what is there to game? Strapped into a shiny new ship the player is thrust into a truly massive procedural galaxy, able to hunt, mine and explore, facing off against or working with both other players and the A.I., striving to upgrade their ship with awesome new weapons or buy their way into more powerful craft. All in all it’s an enthralling experience, and the meat of the game, from the beautiful graphics and wonderful sound effects and music, to the silky smooth handling and personality of the ships and weapons comes together beautifully. And in VR? It is like nothing you have ever experienced before, or might never experience again. Verdict: There are still kinks to be worked out, of course, some areas of the gameplay seem like they still need to be fleshed out, and there are of course still bugs, but the devs seem to be doing a bang-up job of fixing the old girl up, and I have faith in their ability to continue to do so. I know a lot of people hate the “grind” to this game but it only is a grind if you make it one. Elite Dangerous is a truly immersive game with plenty of opportunities in the game I personally am a fan of bounty hunting myself but as long as you don’t push yourself in and endless grind it’s a great game, only when you grind for endgame content does the game lose its fun. but if you just go with the natural progression it goes by quite fast.